Liverpool University, located at the city centre is one of UK's leading universities that is reputed for its teaching and research excellence. Since its foundation, the University has been at the heart of the city. The Liverpool University is one of Merseyside's largest employers and is a major source of innovation playing a key role in the economic development of the region in terms of employment, skills, research and technology. 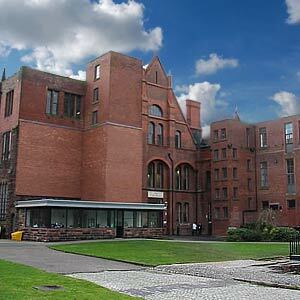 The Liverpool University boasts of eight Nobel Laureates and employs over 2500 persons. The University has 54 departments and schools and offers various courses at all levels from post-graduate to undergraduate level. One of the first civic universities, University of Liverpool was founded in 1881, with the establishment of University College Liverpool. Initially large number of students came from Merseyside. Later with more funds, the University grew rapidly, and the famous Victoria Building, the original 'redbrick' designed by Alfred Waterhouse, was opened in 1892. The University has seen great Laureates like Professor Oliver Lodge, who made the world's first public radio transmission in 1894. The University received its Charter in 1903, thus enabling the University to confer degrees in its own right. Subsequently University College became the University of Liverpool. Professor Charles Glover Barkla, who was researching at the Department of Physics on X-rays, won a Nobel Prize. Another Noble Laureate James Chadwick who discovered Neutron also belongs to the University of Liverpool. Another historic University along the Merseyside is the Liverpool Hope University. The Universities' history stretches back over a century and a half, when the Church of England Diocese of Chester and the Roman Catholic Sisters of Notre Dame established separate teacher education colleges for women. These colleges were in Warrington and Liverpool City Centre respectively. They were supplemented on Merseyside when a second Catholic teacher education College - Christ's College admitted its first students in 1965. In 1980, these three Colleges joined in an ecumenical federation under the holding title of Liverpool Institute of Higher Education (LIHE). Finally in the year 1994, the University gained Accreditation to conduct Postgraduate programmes.